BAT - BLOG : BATMAN TOYS and COLLECTIBLES: Mad Monster Exclusive! Adam West and Burt Ward Announce New Animated #Batman Feature Film! Mad Monster Exclusive! 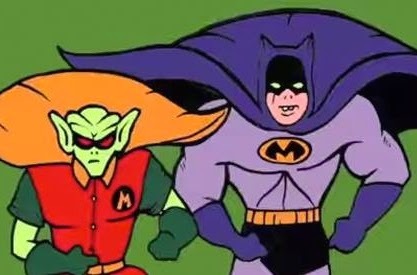 Adam West and Burt Ward Announce New Animated #Batman Feature Film! Check out this super-quick video clip where Burt Ward and Adam West announce a brand-new animated BATMAN movie that will be coming out later! This was filmed at the MAD MONSTER Party in Charlotte, NC. on March 28th, 2015. Oh yeah, speaking of MM, also be sure to check out this fun promo video they made for this event.